﻿ Gie Gardens Hotel, Bohol - SAVE ON AGODA! Have a question for Gie Gardens Hotel? When visiting Bohol, you'll feel right at home at Gie Gardens Hotel, which offers quality accommodation and great service. From here, guests can enjoy easy access to all that the lively city has to offer. With the city's main attractions such as Governor Celestino Gallares Memorial Hospital, Bohol Quality Mall, Ramiro Community Hospital within close reach, visitors to the hotel will just love its location. Gie Gardens Hotel offers impeccable service and all the essential amenities to invigorate travelers. Guests of the hotel can enjoy on-site features like free Wi-Fi in all rooms, Wi-Fi in public areas, family room, tours, salon. All guest accommodations feature thoughtful amenities to ensure an unparalleled sense of comfort. Besides, the hotel's host of recreational offerings ensures you have plenty to do during your stay. Superb facilities and an excellent location make the Gie Gardens Hotel the perfect base from which to enjoy your stay in Bohol. it was awful, hotel front desk not presentable, room does not look like the picture in agoda. It was excellent very happy with my stay and my children love it. The frontdesk area was a little gloomy. The checkin was fast and we were provided our room right away which was on the 3rd floor. There were no elevators so our grandmother had a hard time going up and down the stairs. The room was spacious although you can see that it's already old. The aircon is not that cold but that's alright for me as I don't really like cold temp that much. The staff was pretty attentive to our request. The toilet got busted but they were able to fix it in a few minutes. Pretty decent to stay if you just want a place to sleep. However, if youre with an elderly or you want a cool environment, better check out other hotels. Ok option for a stay in town for reasonable price. Budget hotel so fixtures/fittings a little worn but everything worked. Clean and big shower room ensuite. No real complaints. Gie Gardens is much nicer in the pictures of Agoda. haha It has no character...just a room that has affordable rates. You can stay here if you just need a place to sleep in. No customer service that you can count on. Aircon is lousy too. But if you're cheap..this is what you get. Enjoy the city and come home tired and sleepy...it will work. The staff are very helpful, nice and friendly. we cant recommend this hotel to my friends or other guest, it is very noisy outside, and a lot of people were roaming aound,place is dirty, and really no space, not even a couch were you will be welcomed and wait til the receptionist will entertain you. the outside of the hotel is very dirty, it is directly in the road, when you are in the room is clean but the bed was a mess, you cant sleep there, its very soft that its almost hard to sleep. when you move, everybody beside you moved also, it was a hard night. will never recommend this hotel. Fabulous...in room wifi was very poor and had a power failure in the early hours but no problem...Not going to mentyion anything bad when there were so many good things in the little hotel. 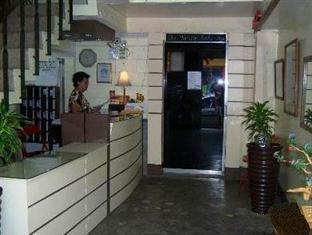 the hotel is in the center of town Tagbilaran. very good location, near stores and shopping center. friendly staff but not so clean room. I found a lot of ants. they're everywhere, they found the way to come in my bag and I needed three days to rid of. luckily I stayed there just for one night. I suggest to stay there no more than one night also because you don`t have what to do in the city.